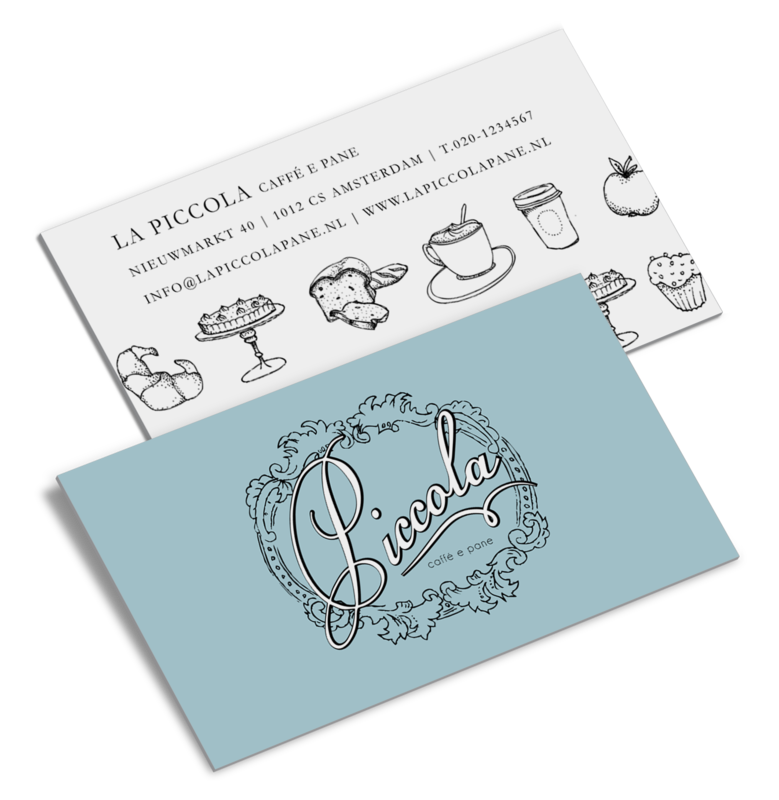 La Piccola is a charming take-away bakery shop in the middle of the oldest part of Amsterdam, on the Nieuwmarkt, surrounded by chinese restaurants, bars, and a small market, and where many tourists pass every day.The brief was to create a place reminiscent of shops from around the fin-de-siècle in cities like Paris, Buenos Aires and Rome, selling sweets, ice creams and pastries. The colours were chosen to convey a certain sophistication and freshness to the whole design, combined with wood and marble. 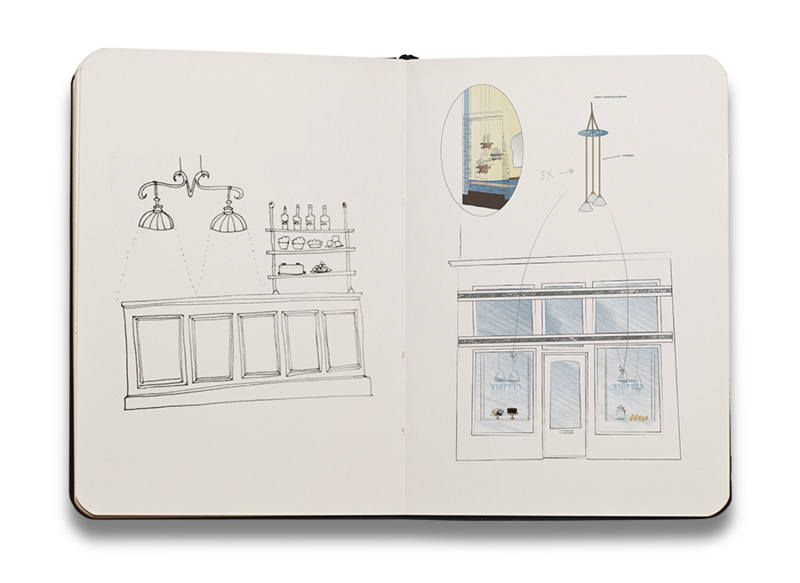 Fun elements, also suggestive of times-gone-by, like mirrors, cute wall lamps, small wooden shelves and glass cake stands are added to give the whole scheme an attractive look. I chose to design a logo in an elegant type and combined it with little hand drawn illustrations to be able to use in different settings, such as stencils, stickers and businesscards. This project was designed from scratch. 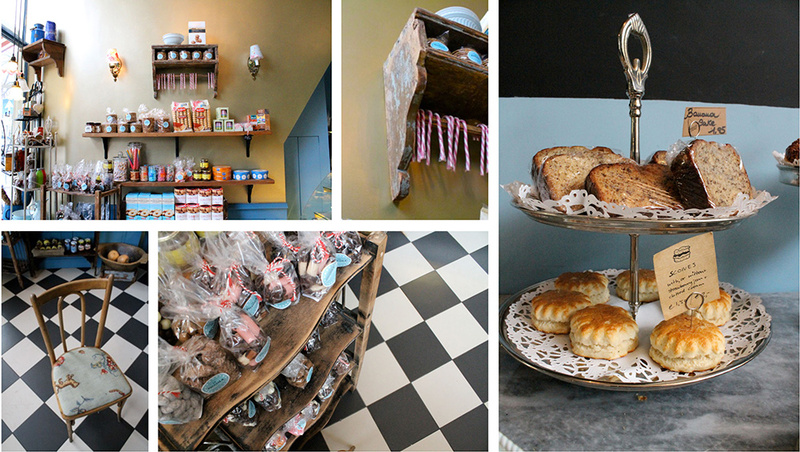 It started out with only the idea for a bakery and the location. 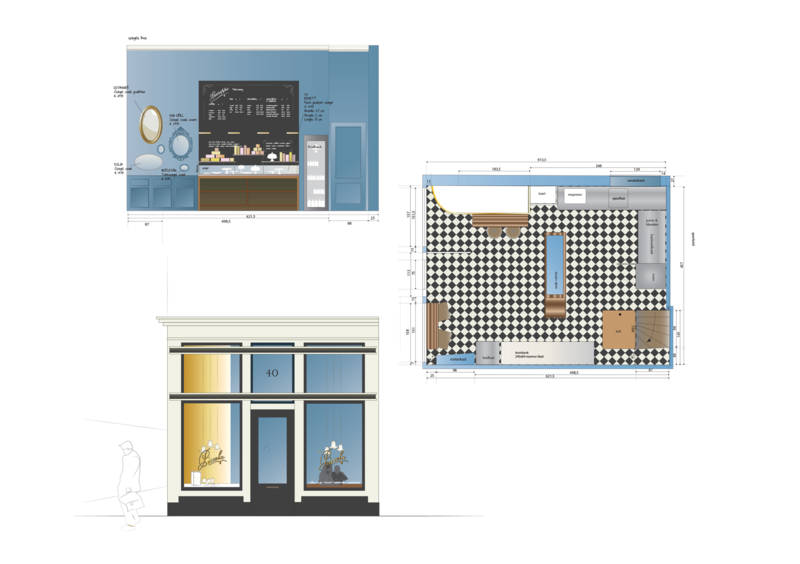 and together with the owners we developed the concept of this small bakery. I started sketching with the idea of old fashioned Italian ice cream parlours and bakeries in mind which was then developed into the branding. 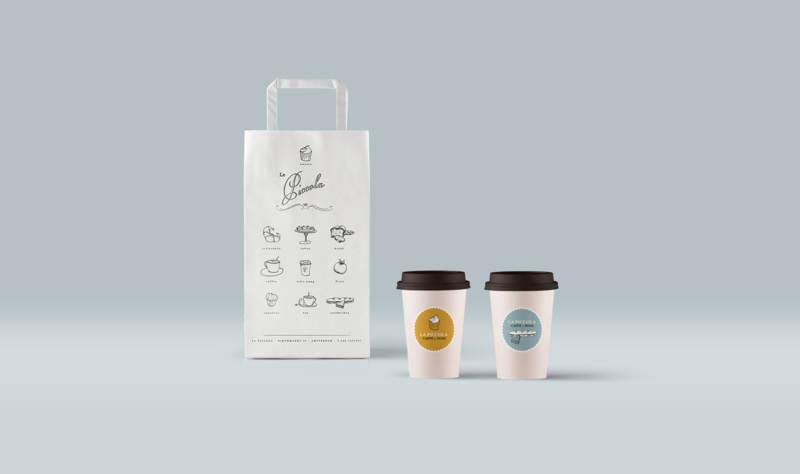 For the packaging we had stamps made to use on bags and boxes and stickers were used on coffeecups and other packaging. This was an easy way to mix and match the logo and illustrations in daily use.